Paris 1 1/2 oz. Tequila Blanco, 1/8 triple sec, Orange Liqueur, Sweet & Sour mix, ice, mix, salt, & lime wedge. 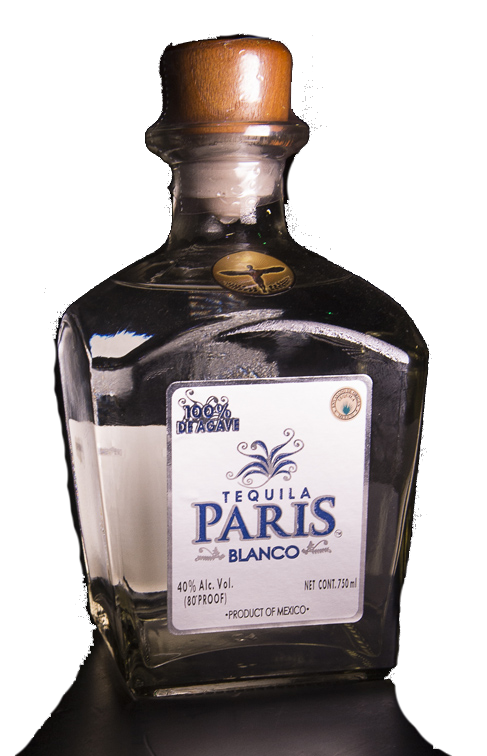 Paris 1 1/2 oz Tequila Blanco, 1/2 oz Vodka, 1/2 oz White Rum,1/2 oz Gin, Moscato Wine, ice, mix garnish with Jalapeno pepper wedge. Paris 1 1/2 oz Tequila Blanco, 1/2 Hypnotic Blue, 1/2 oz Grand Marnier, 1/2 White Rum, ice, mix,add Ginger Ale, garnish with lemon wedge. Paris 1 1/2 oz Tequila Blanco, 1/4 cup Grapefruit juice, 1 tablespoon lime juice, 1 teaspoon of Agave nectar, ice, mix,top with soda, garnish with peppermint leaf. Paris 1 1/2 oz Tequila Blanco, 1/2 oz Irish cream, 1 oz Cherry wine, peach schnapps, ice, mix, add citrus soda. Paris 1 1/2 oz Tequila Reposado, 1/2 oz Bourbon Whiskey, water, ice. Paris 1 1/2 oz Tequila Reposado, 1/2 oz Amaretto, 1/2 oz Dark Rum, Cranberry juice,teaspoon orange liqueur,ice,mix,add coca cola. Paris 1 1/2 oz Tequila Reposado,1/2 oz Rum, 1/2 Vermouth, teaspoon lime juice, Hot Sauce,ice, mix, add citrus soda,garnish with lemon and jalapeno wedges. 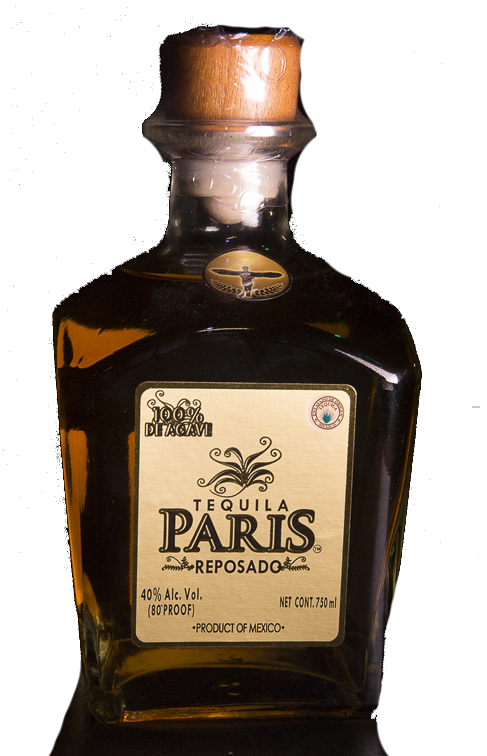 Paris 1 1/2 oz Tequila Reposado, 1/2 Rum, Agave nectar, teaspoon of lime juice, ice, mix,add citrus soda. Paris 1 1/2 oz Tequila Reposado, 1/4 oz Tia Maria, Pomegranate juice, teaspoon lime juice, coca cola, ice, mix, garnish with a red carnation. Paris 1 1/2 oz Tequila Reposado, 1/2 oz 1/2 Dark Rum,1/2 oz Vermouth, teaspoon lime juice,ice,mix,add Coca Cola. Paris 1 1/2 oz Tequila Reposado, 1/2 oz Amaretto, Triple sec, teaspoon Agave nectar,ice,mix,add Coca Cola, garnish with Lemon Twist. 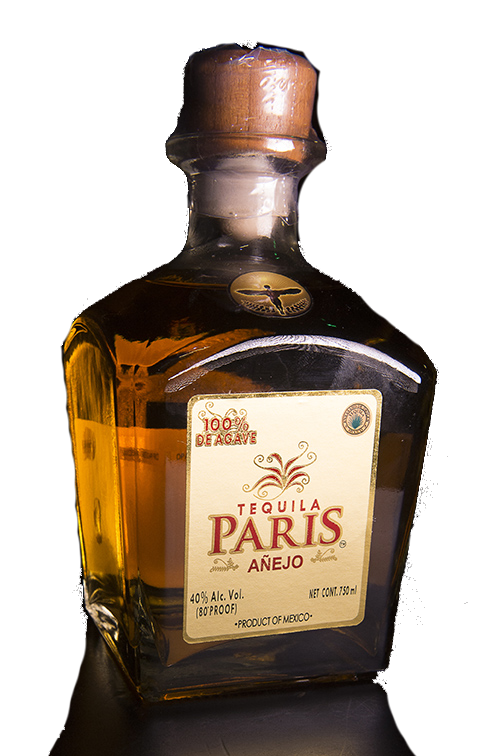 Paris 1 1/2 oz Tequila Anejo, Strait Shot,Salt Lime Wedge.